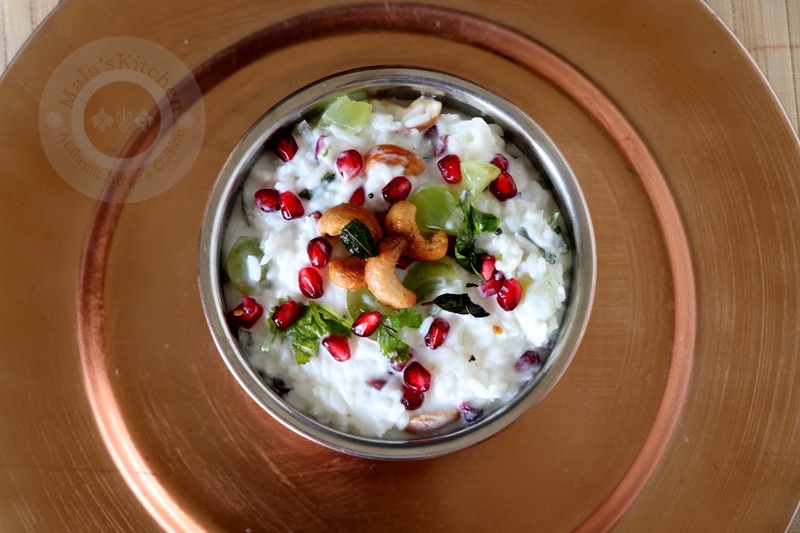 In South India, a lunch or dinner is incomplete without Curds. 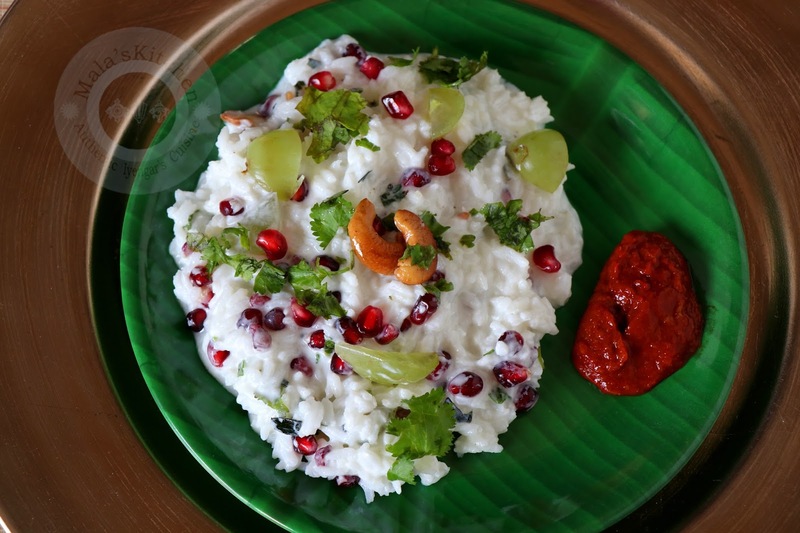 Curd rice is a very popular and must dish for South Indians. Normally it is just plain rice added with curds. 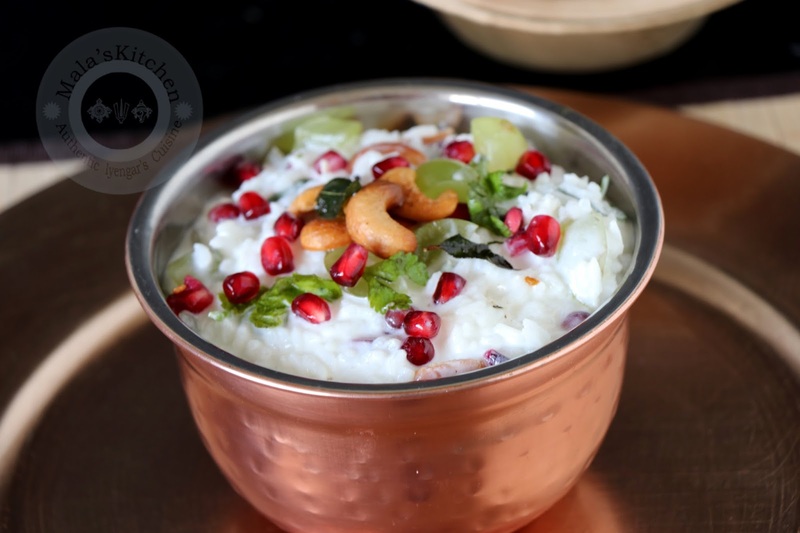 But on special occasions & festivals curd rice is tempered and also added with fresh fruits which gives a lot of flavor and additional taste. 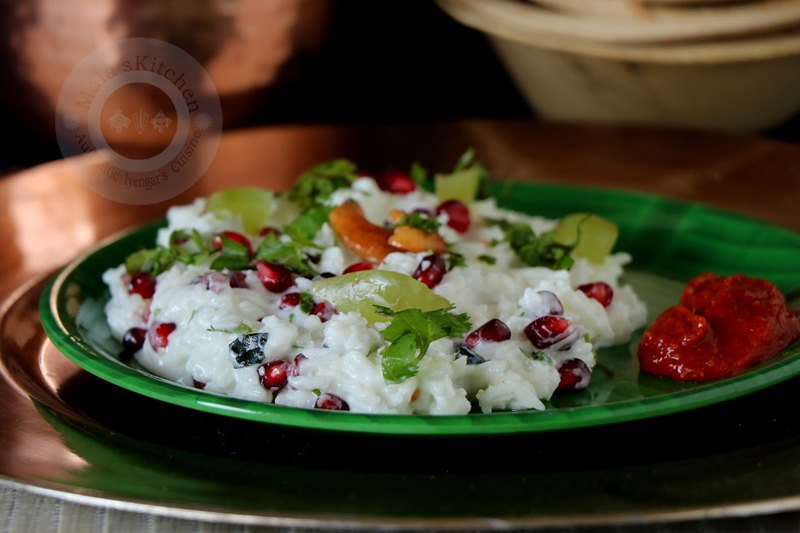 I usually temper it , garnish it with coriander and add pomegranate & grapes during seasons. It also tastes good with just tempering & garnishing. 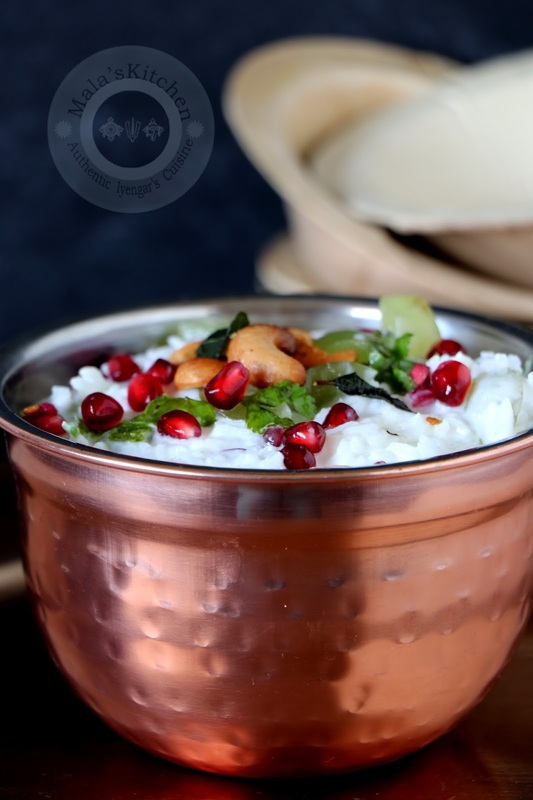 This is made along with Bisibele Baath OR Puliyogre because it gives a taste of coolness after a spicy dish. In Karnataka it is called BakalaBaath and also made as Dadhyodhanam in South Indian Temples (for prasaadam). Then add hing / asafoetida, green chillies fry till dal turns brown in color add curry leaves and cashews fry on low flame. Give me that bowl, feel like finishing that whole bowl. Without this my meal is not filled.